Cheshire West and Chester Council’s scheme transformed the area by introducing traditional paving, street furniture and engaging public art. 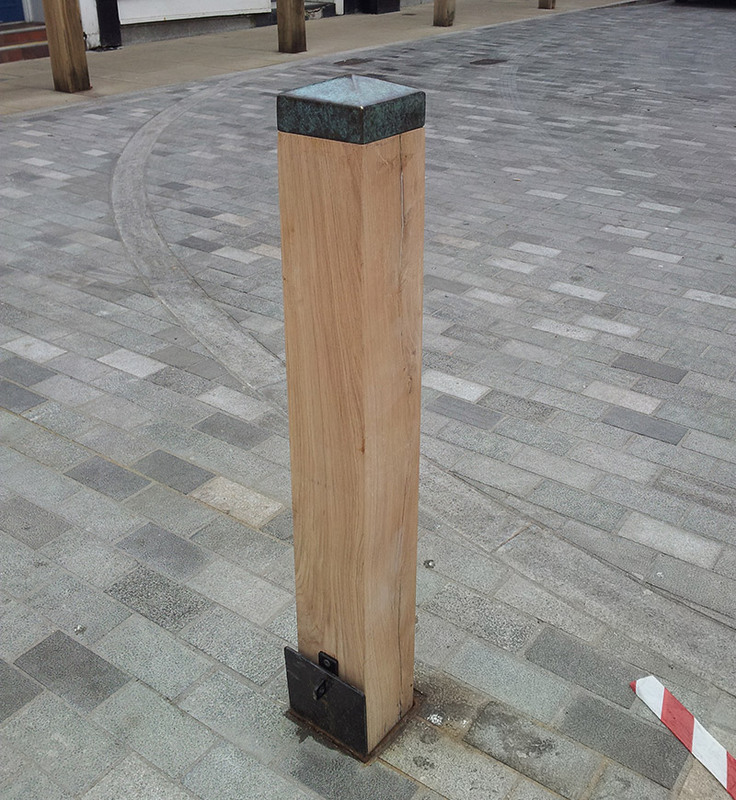 We worked in conjunction with the visual artist Katayoun Dowlatshahi to create bespoke Oak Bollards with metal caps, shaped like salt pillars, which have historical reference to the town. We also worked together to design and make a series of bespoke charred Oak benches to frame the square, with key historical events and dates of the Great Subsidence event hand carved in the wood. The benches were cut to represent jacked up timbers. The inspiration for the design came from the town’s history. Northwich is well known for its Victorian Salt industry. Witton Street is built on the original salt mines that often flooded with water causing subsidence. In 1880 the Great Subsidence event caused houses, shops and offices to suddenly disappear into the ground.